The Winship Cancer Institute of Emory University serves as the coordinating center for cancer research and care throughout Emory University. It is the only National Cancer Institute–designated cancer center in Georgia. Winship has 285 faculty members involved in clinical services, scientific and epidemiologic research, outreach, and education. 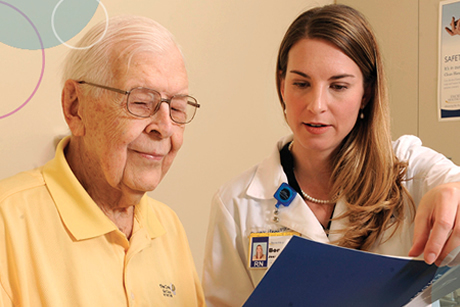 Winship investigators conduct more than 250 therapeutic clinical trials and enrolled more than 825 patients in 2014. John Seay was diagnosed with chronic lymphocytic leukemia (CLL) in 2010 and was successfully treated with chemotherapy at a center near his home in Cornelia, Georgia. However, the chemo resulted in a second malignancy that brought him so close to death, doctors sent him home under hospice care. Fortunately, John heeded a recommendation to seek out Winship Cancer Institute's Dr. Edmund Waller, who saw John as a good candidate for a bone marrow transplant. John's transplant went forward when a perfect match was found for him from an unrelated donor. Fadlo Khuri, MD, Deputy Director of Winship Cancer Institute, says discoveries in fundamental cancer research have produced powerful new treatment possibilities and accelerated the progress against cancer. He now looks to the challenge of bringing those benefits to cancer patients worldwide.